The group I was with was led down into the tunnels beneath the glacis, but I scampered up to the top of the glacis while there was nobody around to ask me not to. 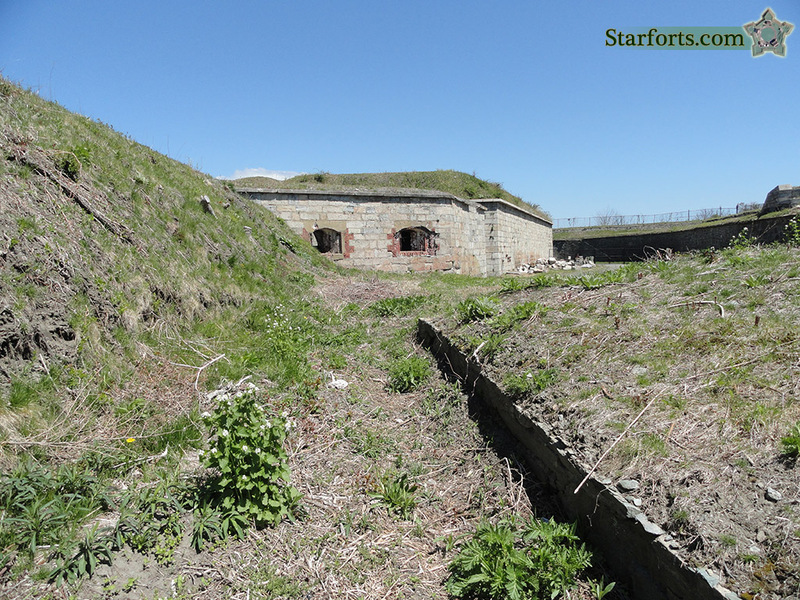 This is what's up top: Earthworks to hide behind and blockhouses! MAN I'm glad I hadn't been ordered to attack that glacis.